Kerastem reports 6-month top-line data from its clinical study STYLE, a 70 patient, phase II, US multi-center, randomized, single-blinded, and controlled clinical trial investigating Kerastem’s therapy in patients with early stage hair loss. The Kerastem therapy is a one-time treatment that utilizes adipose (fat) derived regenerative cells combined with purified fat delivered to the affected area of scalp. Low dose Adipose Derived Regenerative Cells (ADRC’s) + Puregraft fat treatment group achieved a statistically significant increase in mean terminal hair count, when compared to control, in males with early stage hair loss (Norwood Grades I-III). An average increase of 29 terminal hairs per cm2 of scalp was observed, corresponding to a 17% increase (p < 0.05) from baseline. All treatment arms of STYLE were safe with no serious adverse events reported. “The Kerastem team has successfully identified a treatment that stimulates hair growth in people with early stage hair loss,” stated Brad Conlan, CEO of Kerastem. “There are over 40 million people with early stage hair loss in the United States alone. To understand the STYLE results in context–the low dose treatment group had an average increase of 29 hairs per cm2 of scalp, which corresponds to an increase of 2,900 hairs per 100 cm2 of treated scalp. While the average hair transplant today is between 1,900 to 2,200 transplanted hairs, patients with early hair loss are very often not candidates for hair transplantation. Kerastem therapy represents a new option. The therapy utilizes patented medical device technology to deliver a consistent cell therapy output, enabling appropriate dosing. Hair loss affects more than 40 million men and 21 million women and in the United States alone. The global hair loss treatment market generates more than $7 Billion annually and currently has limited options for men (grades I-III) and women (grades I-II) with early stage hair loss. 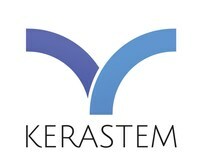 Kerastem is the leader in the development and commercialization of cell-based approaches to hair growth. The company is a wholly owned subsidiary of Bimini Technologies. The Bimini portfolio also includes Puregraft, the world’s leading fat transfer solution.